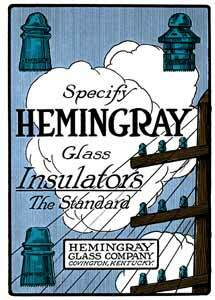 Available in black or white featuring a Hemingray advertisement. Full color image! For more information click on the ad below.